Ghazanfar is a senior leader with over 15 years of experience building world class software. Ghazanfar’s role is to bridge the gap between clients and development teams, and ensure that software is architected well, meeting quality attributes from the very start. Ghazanfar is an expert on state-of-the-art technology platforms and frameworks, with a focus on big data, cloud and mobility. Ghazanfar helps clients identify and select the appropriate technology architecture through understanding of their requirements. Ghazanfar is pivotal for deploying large scale, secure, highly sophisticated, and usable software and mobile products and solutions. 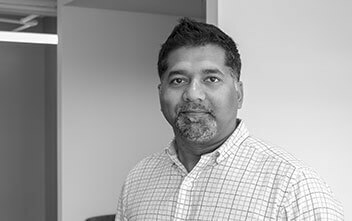 Ghazanfar has worked for companies like NVR, Virtual Logic, and Spacenet in the past. He has a BS in Chemical Engineering and a BS in Computer Science from the University of Maryland.